Brookfields Estate is located just 2 minutes from Margaret River’s café strip and surrounded by established parks, a running brook, and untouched natural forest with thriving fauna and fauna. 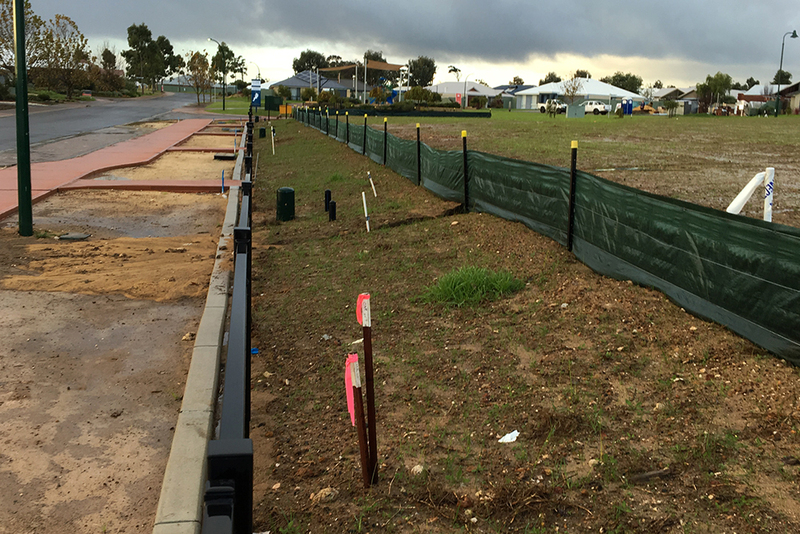 Development commenced in 2014, with Leeuwin Civil responsible for all aspects of site preparation works for Brookfields subdivision stages 7C, 7D and 7E, with subdivision sizes varying between 26 – 37 lots for each stage. 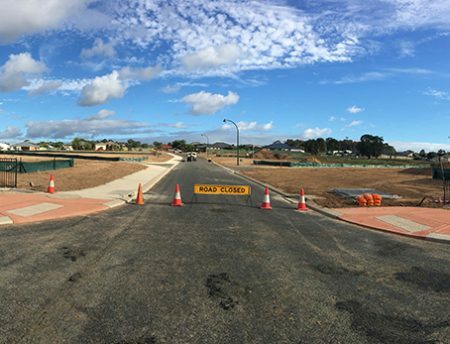 The scope of works included bulk earthworks; construction of retaining walls; and underground infrastructure installations including sewer, power, stormwater drainage, water reticulation, gas and communications (Telstra). 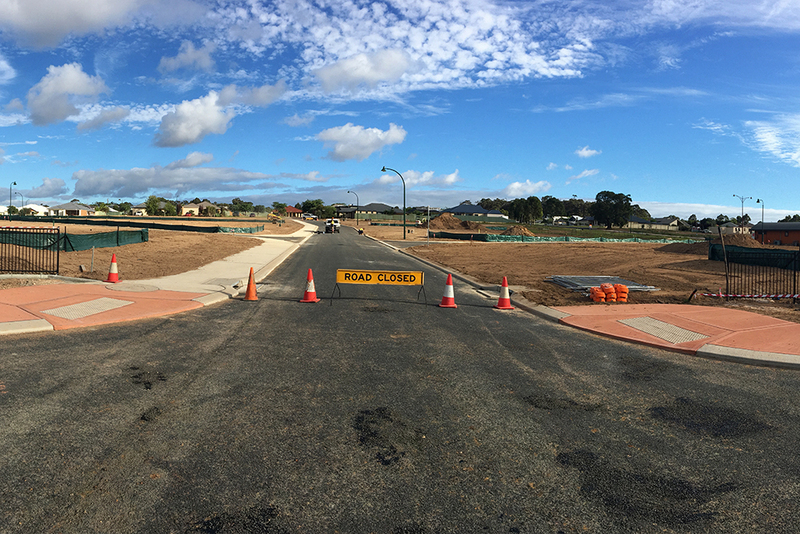 As construction on some areas of the subdivision had already been completed some years earlier, the Leeuwin Civil project team encountered a relatively challenging environment complicated by existing underground services which needed to be located and accounted for. As services could not be removed, this led to a series of design changes that could have affected program delivery. However, through its close working relationship with designers, Wood & Grieve, and the Client, Leeuwin Civil was able to suggest a design change to delete the retaining walls, saving approximately $400,000. 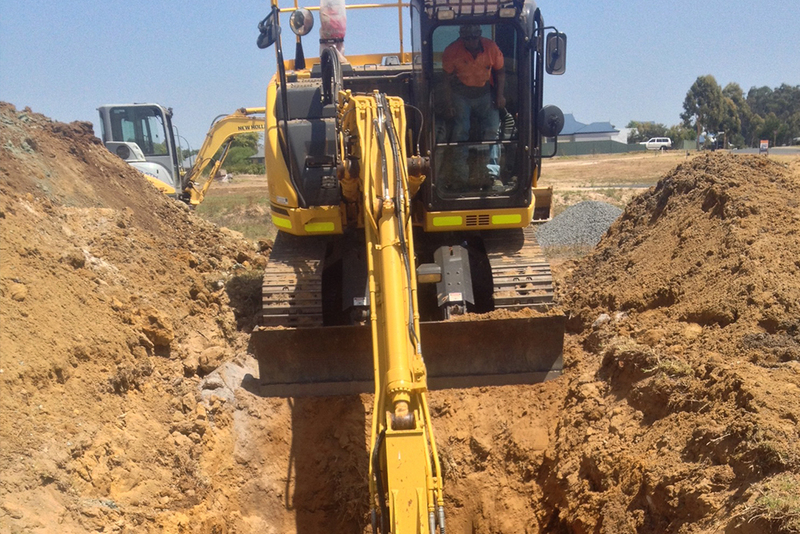 underground infrastructure installations including; sewer, power, stormwater drainage and reticulation.